Dates are the sweetest fruit among all the fruits and loaded with natural sugars.Dates are rich in fibers,iron, calcium,potasium,phosphorus,magnesium,mangnese and varius essential vitamines like vitamine B6 and vitamineC which makes this fruit energy booster either you eat it fresh or in dry form. Fiber contant in dates helps to promote digestion & bowl movements ,thus help to relive constipation.Potasium in dates treates diaria. Dates are excellent source of iron thus help to treat anemia. Dates help to strengthen the muscles hence good for pragnant women in last weaks of pragnancy as the muscles of uterus are strengthen for normal and easier delivery. Dates promotes heart health and prevent various heart diseases like heart stroke. Dates are very beneficial for brain health. They improve memory and prevent Alzheimer disease. 3-4 dates a day in winters helps to provide immunity against cold ,cough and other diseases. 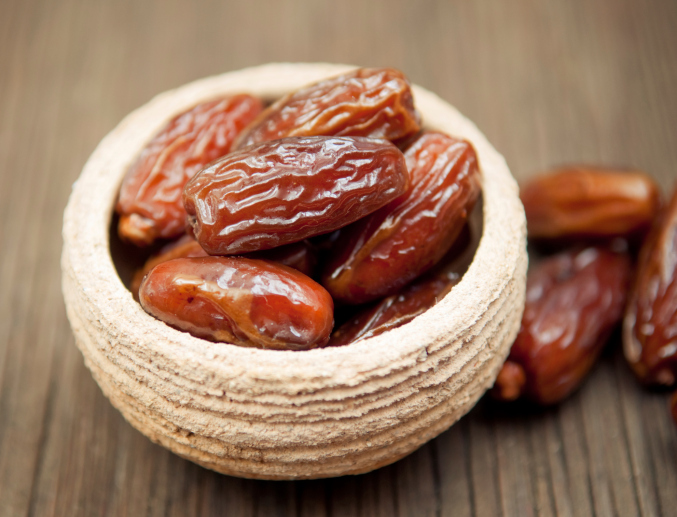 Calcium & magnesium content in dates is good for bone & oral health. Vitamin C found in dates helps to maintain elasticity of skin & improve skin texture. Vitamin B in dried dates helps to prevent various hair problems like split ends,dull hair, damaged hair & hair fall. Dates are also good for sexual health. This entry was posted in Health, Health Tips and tagged Beauty, dry fruits, fruit, Hair care, Health, Hemoglobin, skin care. Bookmark the permalink.